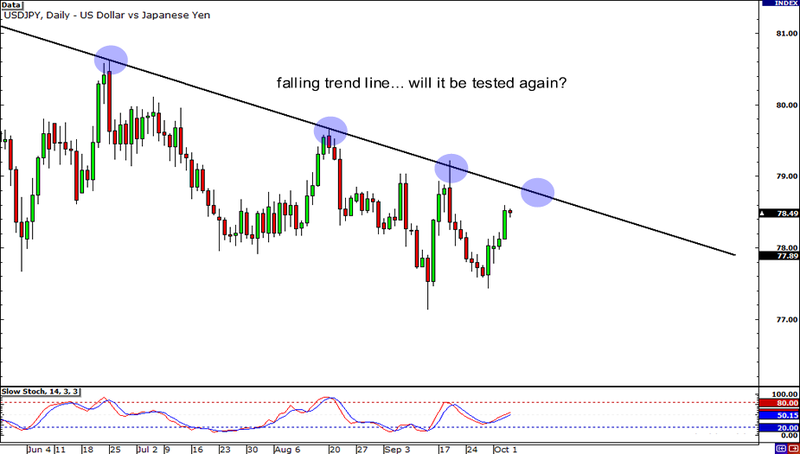 First up today is a setup on the daily chart of USD/JPY. As you can see, the pair has been slowly climbing after it had found support just above the 77.00 level. Will we see price retest the falling trend line again? Given the strong bullish candle yesterday, the buyers seem to have a lot of energy left to push the pair higher. Keep a close eye on this pair folks! 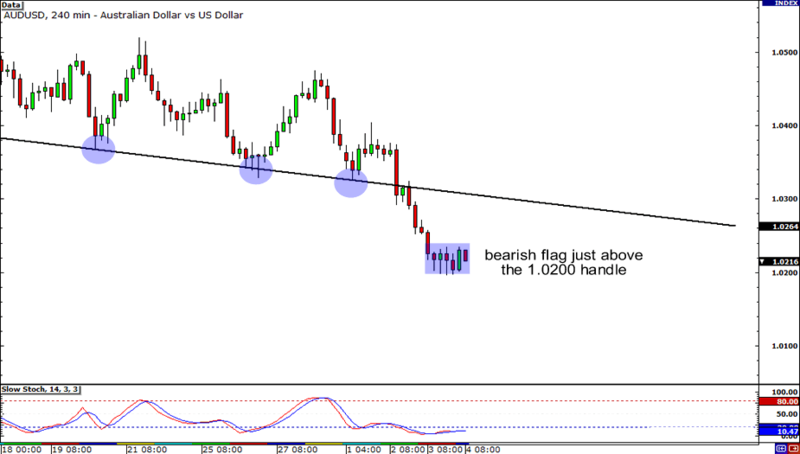 Is that a bearish flag I see on AUD/USD’s 4-hour chart? After a steep, almost vertical, drop the pair has been stuck in consolidation, in between support at 1.0200 and resistance around 1.0230. If the pattern is indeed a bearish flag, it suggests that the pair could break to the downside and possibly fall towards the 1.0100 major psychological level. 1, 2, 3, 4… 5? 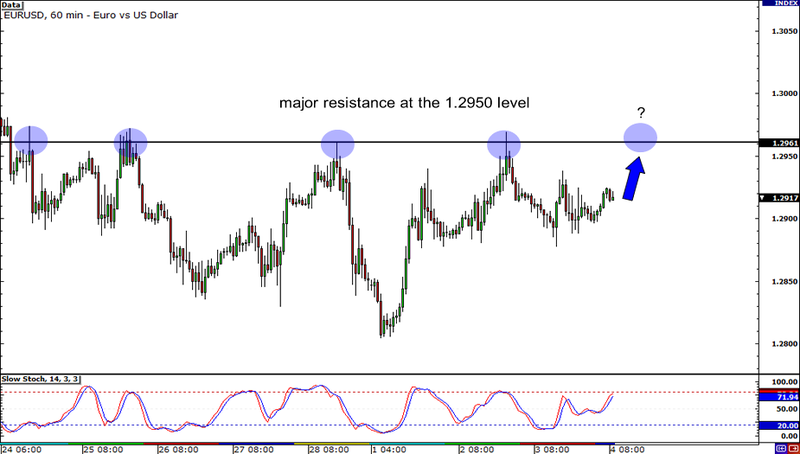 Will EUR/USD test resistance at the 1.2950 level for the fifth time? For now, that seems to be the case as the pair has been making higher lows and the Stochastic still isn’t showing that conditions are overbought. If you’re bearish on EUR/USD, watch the 1.2950 level closely. It could hold and present a good selling opportunity!